Thanks for making our home a great place to live. The best installer we have used in many years. We thoroughly enjoyed having him around. The gentleman who did the work was very meticulous. The whole job met the standards of “fit and finish”. He is a great asset to your business. I would certainly recommend Home and Kitchen Supply to anyone in need of cabinets and counter tops. Your designer and installer’s work ethics went above and beyond anything we could have ever expected – and, they made our dream kitchen come true. They were both very courteous, kind and especially helpful in every aspect from the very beginning planning stages to the superior installing stages. My counter tops are beautiful! The installation was perfect. I can’t recall saying that about any job that I have ever had done. When I consider the materials used, the labor, done with such precise measurements and installation , with such perfection; not to mention the longevity of these counter tops; this was a real bargain. Home and Kitchen Supply updated both of the bathrooms in our home and, at the time, we were very pleased with the results. So, it wasn’t hard for us to decide to have Home and Kitchen Supply completely renovate our kitchen. Once again, an outstanding job was completed and, without any doubt, we are telling all of our friends. It is such a pleasure to have companies such as yours still in existence in this day of the “big box” stores with no personal assistance or continuing quality maintenance to rely on. We appreciate your “customer focus” so truly displayed. Your installers were great to have in the house – they are fast workers and do a good job. Just a short note to tell you how pleased we are with our cabinets and counter top. Your installers did a great job. We have been and will continue to recommend your company to others! I wouldn’t hesitate in recommending Home and Kitchen Supply. I wanted to tell you how much we appreciated you and your staff for the wonderful job they did in doing our kitchen. Everything was just right. We had enough sense to hire the fellows from Home and Kitchen Supply to redo our kitchen in 2012 and our bathroom this year. We are pleased with the way both rooms look. We want to pass along our appreciation of the professional and conscientious work performed by your crew. Should we decide to pursue any additional home renovations, we will certainly contact you at home and kitchen Supply. All of the employees of Home and Kitchen Supply that we had contact with, from the truck driver that delivered the cabinets to the gentlemen that installed the counter tops, were a pleasure to meet and have working in our home. Your business should be proud to have such people representing the good name of Home and Kitchen Supply. We are pleased to have been a customer. Your installers workmanship was excellent and we now have a kitchen to be proud of. Thanks so much for the great job you did on our door. We love it!! You did a very professional job and we appreciate it. The installer paid attention to every detail, working meticulously to ensure the job was done right. We are very pleased with the service and workmanship from Home and Kitchen Supply. The carpenter was great to work with and extremely talented. We want to thank you for the excellent treatment we received from the time we walked in the door until the completion of our kitchen. What a beautiful kitchen we now have, thanks to the people at Home and Kitchen Supply. Thanks so much. It was a please to do business with you. Your installer is one of the most conscientious persons that I have met. He has done a picture perfect job in our bathroom and there are enough enough words to describe it. From the time we entered your business, we felt confident that we had made the right choice, not only in product, but also in our choice of installer. We want to thank you for our lovely new kitchen. Your level of service, cooperation and professionalism is the best. Nothing ever seems to go smooth when we do these types of projects, but working with Home and Kitchen Supply changed that! We love out Cabinets and countertops. With the professional attitude, excellent quality of work and product, and the kind of people who work at Home and Kitchen Supply, we will see you first when we need more work done and will highly recommend you to others. Thank you so much for the wonderful job you did on our new kitchen. We could not have gotten a better company to do the job. It has been a real pleasure working with you. Your installer is a great asset to your company. He is so nice and polite and very knowledgeable. What a please it was to have him in our home. We wanted to express our appreciation to Home and Kitchen Supply for the outstanding job they did on remodelling our kitchen. The designer was very helpful form the start. The installer, was skilled and pleasant to be around. You have a very satisfied customer. Thanks for doing such a fine job installing our new windows and door. 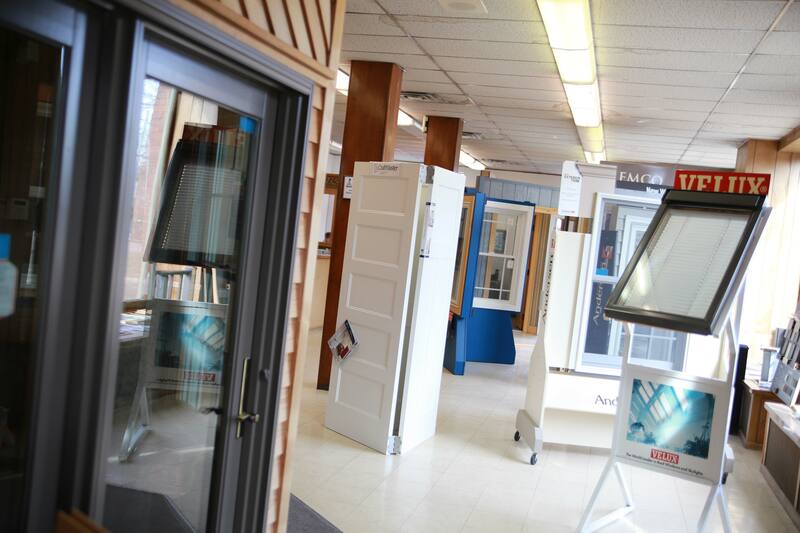 We will recommend you highly to anyone we know in the market for replacement windows. Once again you did a fantastic job for us! Everyone is always so helpful and friendly to us. I was pleased with every step of completing my kitchen. You could not have better people working for you. Thanks very much for the first class service of Home and Kitchen Supply. 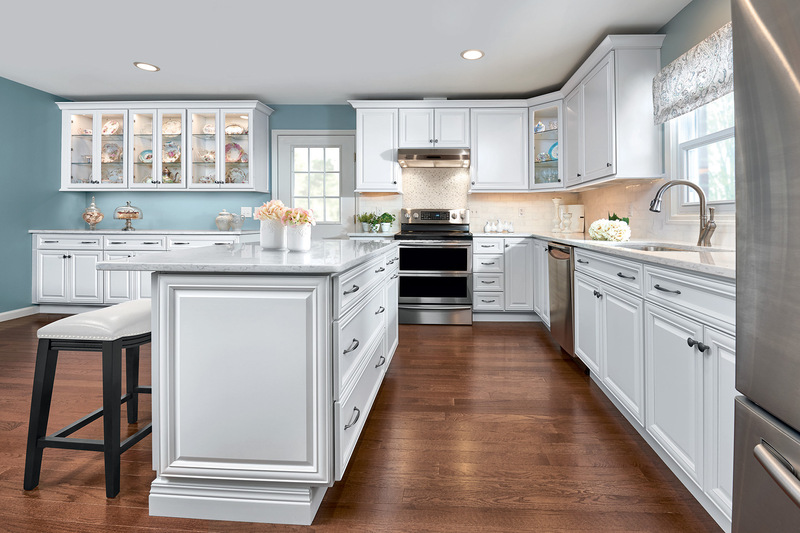 We received special attention as a home and Kitchen Supply customer — illustrating the point that there are real advantages in working with a local business rather than a national chain. Thank you to everyone who helped turn my bathroom into something spectacular! I appreciate your professional work very much. I went to the big box store and they gave me the run around to purchase a countertop. Home and Kitchen Supply was very helpful. 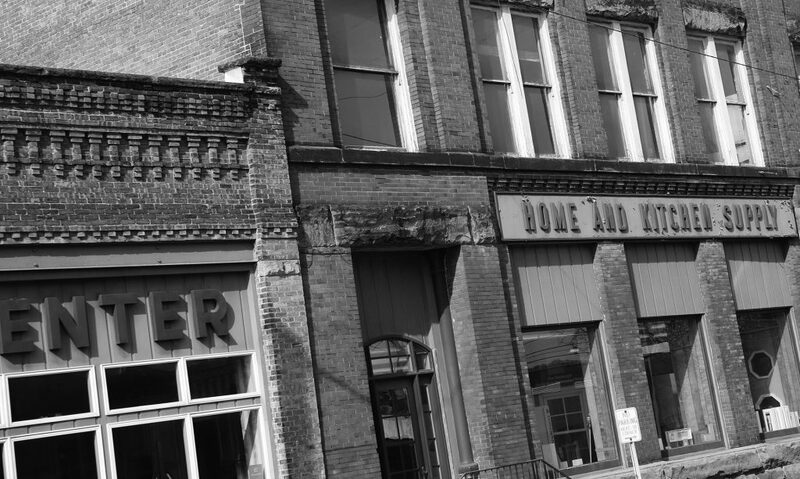 Home & Kitchen Supply, located in downtown Mansfield, Ohio, is a family owned business that supplies amazing products and service in the home building and home remodeling markets to North Central Ohio. We specialize in kitchen & bath remodeling and window & door replacement. We take pride in our loyal customer base that has returned to us many times throughout the years. Whether you have a new build or remodeling, a Complete dream kitchen or just a new backsplash. 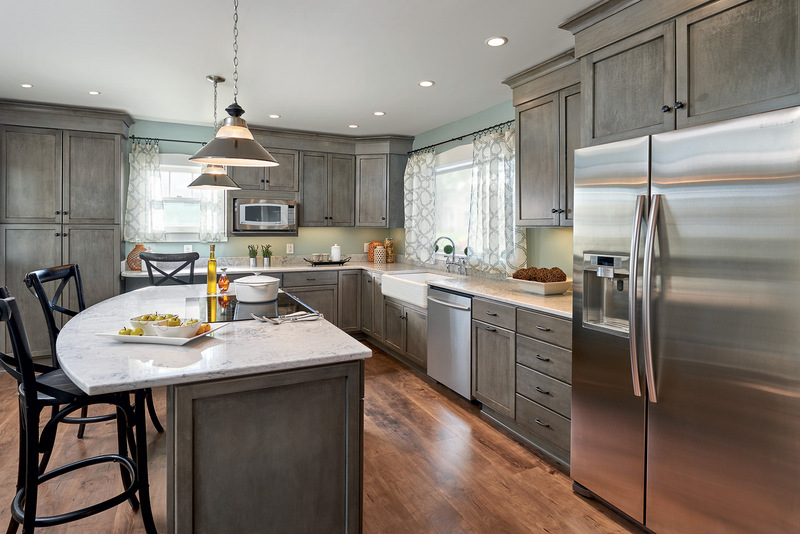 Let Home & Kitchen Supply’s experienced designers and installers make your dreams come true. Want a new look, upgraded features or better energy efficiency? Window and door upgrades can add both beauty and functionality to your home. New build or remodeling, Home & Kitchen provides top quality products. Our design team will guide you toward the kitchen or bath of your dreams and our installation team will make your dream a reality. Not sure what you’re looking for or have questions? Our experienced staff can provide you with design tips, product suggestions, and estimates.